or her bankbook? It’s a real question for real people. I mean yes, everyone wants to help save the Earth. At least a large majority are becoming aware of the need to do so. However, in these cost-conscious times, one of the first questions a person is bound to ask is, “how much will it save me”? save, as it has a lot to do with how you run your household and the amount of sunlight you get depending on weather and where you live, etc., it is estimated that you can expect to save between 50-90% on your energy bill each month! So someone who gets a $500.00 bill each month can expect to save at LEAST half of that, and that estimate is conservative. 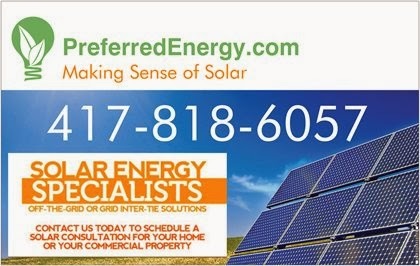 I think that most people would be truly surprised how fast and easy it is to have solar panels applied to their homes, and exactly how much that would save them now, and certainly in the long run. Plus, it adds a fantastic, distinctive, look to your home as well as adding value to the home on top of saving so much money, all while helping save our environment at the same time. To me, after learning these facts, the question wasn't why I would want solar energy heating my home, but rather, why *wouldn't* I want all these benefits and savings?